A workshop on how to run your water systems better. 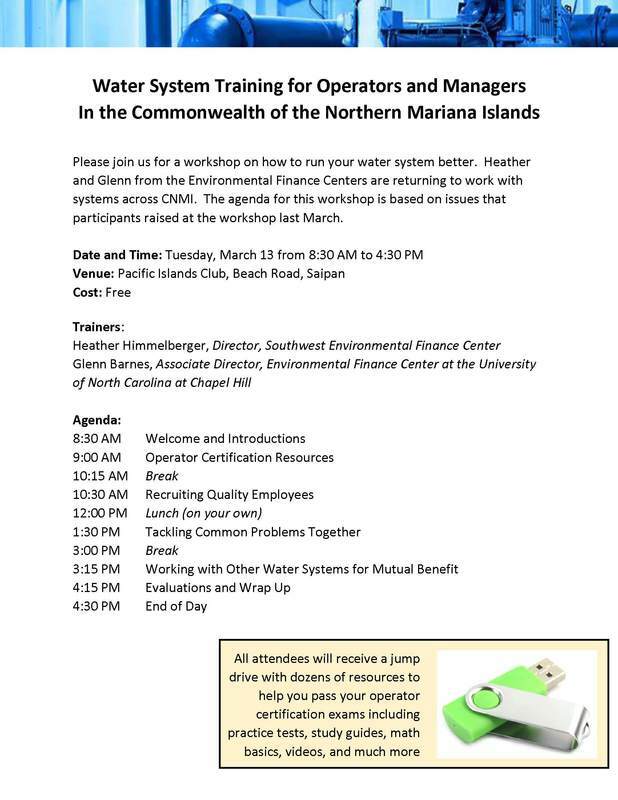 Heather and Glenn from teh Environmental Finance Centers are returning to work with systems across CNMI. The agenda for this workshop is based on issues that participants raised at the workshop last March. Send mail to webmaster@marianasoperators.org with questions or comments about this web site.